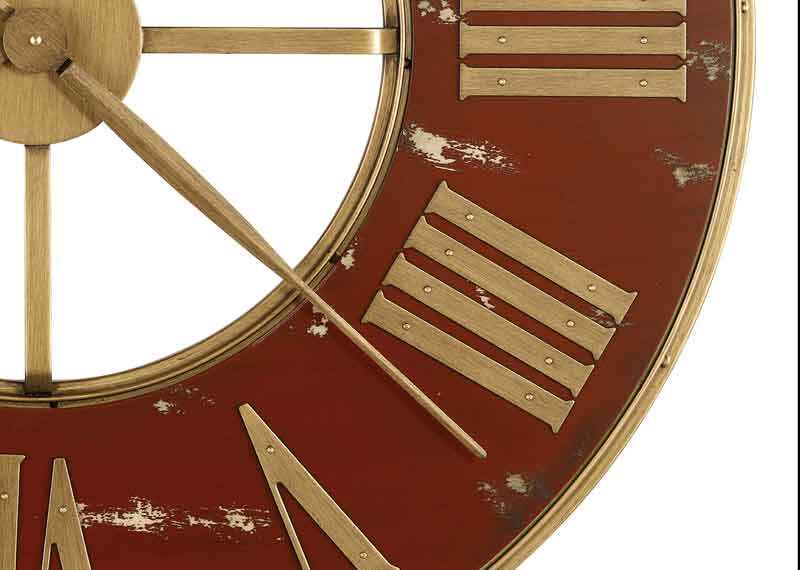 Howard Miller Boris 625-649 Large Wall Clock in an oversized wrought iron wall clock is a handsome 32" oversized wrought iron wall clock finished in antique brass and features a worn, antique red numeral ring. 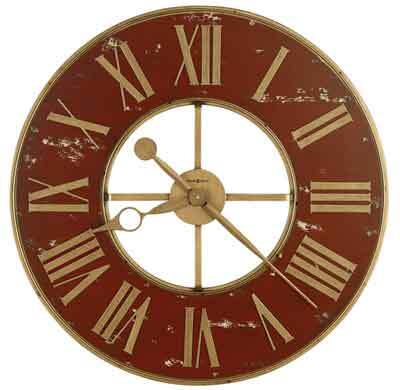 Applied antique brass finished Roman numerals and complement the antique brass finished hour and minute hands. 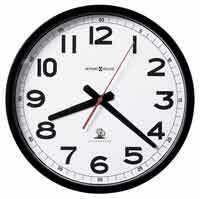 Quartz, battery-operated movement requires one AA sized battery (not included). 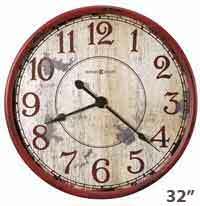 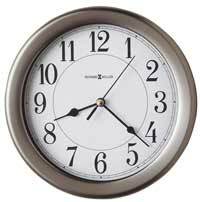 Size: Diameter 32" Depth 2.5"
Clocks for sale at The Clock Depot including the 625-649 at discount prices.